He is concise, willing to listen, and actually discussed what I wanted as far as treatment options go (after thoroughly explainingthe options). Seems like a great doc. He is concise, willing to listen, and actually discussed what I wanted as far as treatment options go (after thoroughly explaining the options). Seems like a great doc. He was very nice and thorough. He answered all my questions and went above and beyond my expectations. 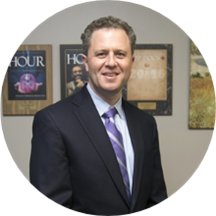 Dr. Craig Singer has been selected as Top Doc in Dermatology by Detroit's Hour magazine the past 5 years, including 2018! Dr. Singer was born and raised in Philadelphia, Pennsylvania and he graduated with honors from the University of Pennsylvania, Philadelphia, PA in 1991 with a BA in Biology. He received his medical degree from the Mount Sinai School of Medicine in NY, NY in 1995. He then completed a pediatric residency at the Mount Sinai Medical Center, NY, NY. Dr. Singer practiced general pediatrics for seven years in Bloomfield Hills, Michigan before training in dermatology. Dr. Singer completed his three-year dermatology residency in 2008 at Northwest Dermatology Group, p.c., Southfield, Michigan. Dr. Singer is board certified in dermatology through the American Board of Physician Specialties and he serves as a member of the board. In 2017, Dr. Singer founded his solo practice Craig Singer MD Dermatology in Bingham Farms, MI. Dr. Craig Singer has been selected as a Top Doc in Detroit's Hour magazine the past 5 years. Dr. Singer hosts family practice residents for didactic teaching sessions in his clinic. He is on staff at William Beaumont Hospital and an affiliate of The Detroit Medical Center and Providence Hospital, Southfield, MI. He has been a guest lecturer at William Beaumont Hospital and Providence Hospital, Michigan. Craig has been married to his wife Marla since 1996. They have three adorable children, Noah, Ava, and Ashley. Great visit! Very knowledgeable and friendly. Easy in and out. This was my first time there, overall I am satisfied. Dr. Singer is exceptional. Has been great and knowledgable on my skin concerns. Easy appointments, quick and professional. Dr Singer is the best dermatologist! He knew my diagnosis immediately after I struggled with other dermatologists. There is little to no wait time in his office. Highly recommended! Dr Singer was very pleasant and clear in explaining my issue. Dr Singer provided a clear treatment plan to address and correct issues. Very pleased with all aspects- making the appointment, the minimal wait upon checking in, the friendliness and professionalism of the office staff, to Dr. Singer, it was the best experience with a Doctors office. Dr. Singer was very good andefficient but thorough. I would highly recommend to anyone looking for a dermatologist!!!! Dr. Singer continues to impress me with his knowledge and expert care. Hands down, the best dermatologist I’ve ever seen! Down to earth, easy doctor to talk with! I finally found a good skilled doctor practicing dermatology and acting like a real human. I am looking forward to working with Dr. Singer on improving my integumentary system health in a number of ways and that journey began today. Thankyou...just thank you. Oh and the nursing staff (Crystal, in particular) were amazing as well. They made me comfortable and helped walk me gently through the first visit, setting the pace throughout the stay. Plus, Crystal was very adept with a needle. Dr. Singer is a extremely nice person. He listened to my concerns and ask the necessary information needed for the problem. I would recommend him to family members and friends. Quick visit. Filled out new patient forms upon arrival so appointment was pushed back by 10 minutes. Dr. Singer was friendly and professional! Great practice. No waiting. Super professional. Great visit!! Very efficient staff and knowledgeable doctor. Will definitely be returning. Dr. Craig is wonderful. The entire staff is personable. Everyone from the moment I stepped into the office was receptive and made me feel welcome. The office is new and clean which is important to me. Dr. Craig asked very goodquestions and made me feel comfortable. He explained things and advised me in detail very thoroughly. I am glad that I connected with Dr. Craig and I would recommend him to everyone. Thank you. Dr. Singer was prompt into the room after I was politely led to the examination room. Dr. Singer was knowledgeable, friendly and quick to answer my questions and resolve my reason for making the appointment. I highly recommend this office for all your derm needs. Five stars!!! Dr. Craig Singer was very knowledgeable and took the time to really hear about the issues I was having. He had solid recommendations and a clear follow up plan. The office was new and the staff welcoming and attentive. I wouldhighly recommend Dr. Singer. Additionally my teenage children have also gone to Dr. Singer and they to have had very positive experiences. The visit was great! It was the after visit trying to pick up my persciption. The appointment was at 11 and by 4 the prescription still hadn't been called in and I couldn't in touch with anyone at the office. It went too quickly. I felt rushed leaving no time for questions. In and out without really addressing the issue. I loved my appointment. Dr. Singer is very down to earth, friendly and knowledgeable . Professional, but wasn't willing to spend much time with me. When I asked more than a question or two about the diagnosis, he was quick to remand the rest of the visit to the assistant as he moved on to otherpatients. I know this is the state we are in, but frustrating nevertheless. You see the actual doctor for a couple minutes. I do appreciate what seems like a proper diagnosis. Good visit. Nice demeanor and addressed my issues well. Once issue, my personal profile information was not transmitted to the doctor's office from Zondoc. I had to hand fill out forms upon arrival. My appointment was very professional and quick. I appreciated not being kept waiting either before my appointment or in the room waiting for the doctor. He gave me printouts detailing my diagnosis and was very clear and helpful. I will definitely be returning in future. He explained everything to me and made sure I completely understood how he would be handling my acne. He assured me that he could fix my problems, such a relief! Very professional and straight to the point. Very knowledgeable and helped me with the skin issues I was having. I highly recommend him! Very good doctor for a first time visit. He was very nice and thorough and he answered all of my questions. I was processed right away which is very important to me. The wait was less than 30 minutes which is what I expected. Dr. Singer was very attentive and informative. He diagnosed my problem immediately which led to a solutionI felt comfortable with. I would recommend him highly. He listened and answered all of my questions, very nice! He's an excellent doctor he resolved all my issues that I've been dealing with for over a year at my first office visit. Dr. Singer was friendly and thorough. I will definitely continue to use him as my dermatologist! Dr. Craig Singer wasn't available, but I received a call from his office and they offered me an appointment around the same time with his associate, Dr. Michael Borkin. He was kind and professional, and I was pleased with the treatmentI received. I scheduled a follow up visit in 1 month. Dr Singer came recommended by a friend. He has proven to be thorough, considerate and professional. He explains what he is doing and why, and always asks if I have any questions, concerns, etc. I highly recommend him. Knowledgeable, professional and very nice personality. He was able to diagnose and treat my problem quickly and explain it to me in a way that I could understand. He's very thorough and professional. He is also very personable. He listens and makes you really feel comfortable. Dr. Singer was thorough and attentive. He was very knowledgable and addressed my concerns professionally.